Pet odor and Stain Removal Oahu - Our pets are like our family, but the challenges they present can be frustrating for homeowners. Even the cleanest homes can succumb to pet odors and stains, especially if the home has multiple pets. Not only do you have to worry about the accidents you did find, but also the accidents that may have taken place without you knowing. If you’re dealing with pet frustrations, contact our Oahu, Hawaii carpet cleaners for pet odor and stain removal services. 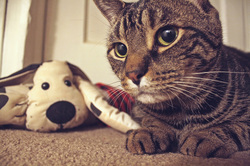 ﻿If not promptly treated, pet accidents can spread through the home, causing lingering odors and unattractive stains. The smell that is emitted from the area often results in repeat accidents. 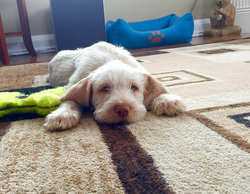 If not promptly and properly treated, pet urine can penetrate deep into the carpet fibers and contaminate not only the carpet, but also the flooring underneath. At this point, specialized cleaning is required to remove the concentrated urine. Our Oahu pet odor and stain removal technicians are confident in their ability to fully remove pet accidents from your carpets, area rugs, and upholstery. When you’re dealing with pet urine or feces, you’ll want to call in the professionals to tackle the job. Using store-bought cleaners can do more harm than good, often making the stain worse due to over-saturation. These products can also contribute to mold growth. When pet urine soaks into a carpet, it generally reaches the padding and the floor underneath, resulting in multi-layered saturation. In severe cases, the urine can even reach the supporting wood floor beneath the carpeting. 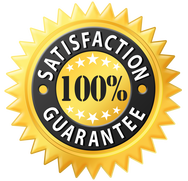 When you hire our Oahu carpet cleaners, our technicians will inspect your carpet, padding, and flooring to ensure that there is no moisture damage before proceeding to treat any pet stains and odors. 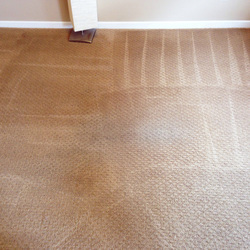 The source of odor that accompanies a urine stain is not your typical carpet odor. What makes pet urine smell so pungent is a combination of bacteria and chemicals. Even if the bacterial smell is cleaned away, the chemical smell can linger, requiring more intense sanitizing techniques to neutralize the odors. Our powerful cleaning solutions and equipment are designed to deep clean pet accidents and neutralize odors. 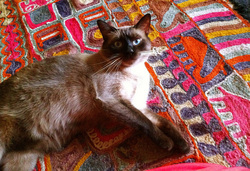 As pet lovers ourselves, we know that you adore your cat, dog, or other beloved creature. However, even one accident on carpet, rug, or upholstery can result in damage. Not only are pet accidents a form of health contamination, they can also result in weakened carpet layers, seam damage, carpet separation, and unsightly stains and odors. Having the area cleaned promptly can help prevent permanent damage. Our Oahu, HI carpet cleaners use a wide range of techniques, cleaning solutions, and treatments to remove pet odors and stains. Our certified technicians have worked with many families to provide remediation to their pet woes. Through the use of specialized, pet-friendly cleaning products, we can effective detect, clean, deodorize, and neutralize unwanted pet accidents from your home. Keep your home smelling and looking its very best with the help of our Oahu pet odor and stain removal specialists. For more information or to schedule a cleaning session, contact us today.